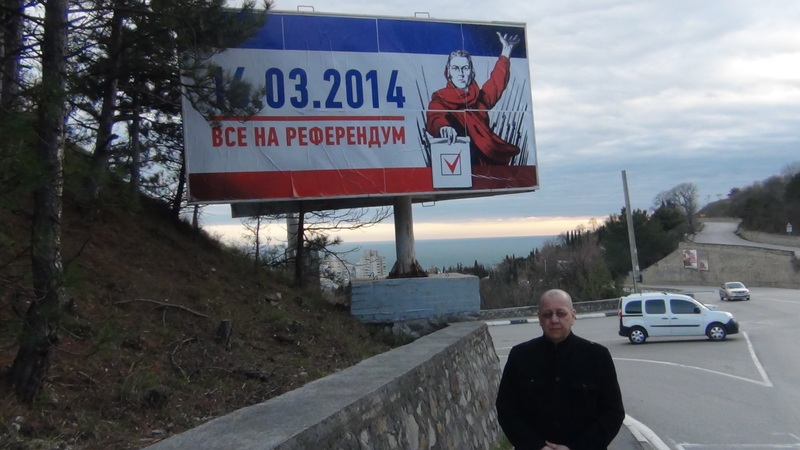 March 16 marks a year since the referendum in Crimea. # Alexander Mosesov/ Sputnik News : How do you assess the significance of Crimea reunification with Russia: for Europe – in terms of European security? For Russia? Luc MICHEL : Crimea is a geopolitical Revolution ! The Crimea file is a essential step to a new multipolar world. That means the cancelling of the old unipolar world, the “New World Order” of Georges Bush (father) in 1991. Many analysis forget it. As I was analyzing it immediatly after the Referendum, in march 2014, the Crimean file was already folded up. For Russia Crimea is a geostrategic point of defense, since Catherina The Great. It was impossible to let it go. And certainly not to NATO, with its old project of a US base in Sebastopol. It is the key of access to Mediterranea for the Russian Fleet. And it is a geopolitical axis for Russia linked with the Base of Tartous, beside Latakia in Syria. Both are essential to the Russian power and security in Black Sea and Mediterranea. For USA, but also for EU, but with a different point of view, Crimea back to Russia is a huge trial for the Atlantic Bloc. This is the whole Post-Soviet Order in Eurasia since the collapse of the USSR – the « greatest geopolitical catastrophe of the twentieth century », said Putin – and the destruction of Yugoslavia by the West that is challenged. Since this huge defeat of ‘geopolitical Russia’ – what was also the USSR – Russia has steadily declined. It’s over after the Sebastopol and Crimean Referendum and the adhesion to the Russian Federation . Russia is back! Also for European Union, the Crimean Referendum, as a form of direct Democracy and people self-determination, is a danger and a bad exemple by itself ! Inside EU, it is a lot of peoples calling for this sort of self-determination : Flemish in Belgium, but also part of the French community of Belgium who want to back to the French Republic – Catalans, Galicians and Basques in Spain – Scottish in Great-Britain – Venezians and Padanians (North Italy, Lombardia), but also Sicilians … Here we are considering only the important autonomist or independantist parties. In Belgium, it is a hidden major issue both for EU and NATO, with their seats installed in Brussels. In this focus, Russia and Crimea has given a bad exemple to the peoples of EU. It is also a strong signal of this by the representation of autonomist parties (Flemish, Padanian, Catalan, Galician) in the observers of our “Internatinal Mission of Monitoring” (*). # Alexander Mosesov/ Sputnik News : In your opinion, was the danger of NATO forces occupying Crimea real? But nobody in NATO is ready to pay the price of this sort of war, which can involve a nuclear conflict and a third world war. Only the Kiev Junta, with its team of adventurous far-right and low level politicians can dream of this sort of military agression. The militarisation of Black Sea, in violation of the international agreements (Convention of Montreux) with the complicity of Ankara (key member of NATO), by the NATO navies and armies is more dangerous. Because a risk is there existing of an military escalation, starting with a single incident (like in the Missile crisis of 1962 in Cuba). The answer of Moscow, with the installation of anti-missiles systems of the new generation (S400 and the folowing generation) and probably mobile nuclear weapons (Topols), is the correct answer to the NATO not to pass the red line. And it’s also secure the Russian Fleet of Sebastopol with a impressive capacty of retaliation. # Alexander Mosesov/ Sputnik News : In your opinion, will Crimea ever be recognized by the West? Under which circumstances? Luc MICHEL : In the immediate time, a recognition is not possible. NATO makes it impossible to EU. And it is Washington and not Brussels – or Berlin – who has the final decision. But History is never writte somewhere. In other times, official recognition of Crimea (because it is already de facto) as a part of the Russian Federation could be part of a more general agreement. By example of the Ukrainian question. Ukraine is a failed state and all is possible there in the short time. (*) Luc MICHEL, Geopolitician, Administrator-general of EODE. This entry was posted in * English, * LM/ Geopolitics/ Greater-Europe & Eurasia/ Grande-Europe & Eurasie, * LM/ Interviews 1985-2013 and tagged Alexander Mosesov, Brussels, Crimea, EODE, Eurasian Observer for Democracy and Elections, European security, geopolitical Revolution, Luc MICHEL, Mediterranea, NATO, Radio Moscow, Référendum, Russia, Sébastopol, Sputnik International, The Voice of Russia, UE, Ukraine, Ukrainian question, USA, Washington. Bookmark the permalink.